One of our core values here at Chatsworth Consulting Group is “Answers Lie Within.” We have found that our clients do always have their answers, even if the answers are extremely well hidden. Our job is to assist in the removal of the excess stone to reveal the essence, the idea, the answer. The compulsive drive to go outside for answers seems to be somehow increasing these days. People read more books, talk with more experts, and go online…anything they can do to find the magic bullet or the solution to all of their problems. However, when our clients ask us for answers we turn the question right back to them. We help them get rid of their excess stone. The stone is usually what gets in the way. I’ve seen clients stuck behind how things have always been done or what others will think. I’ve watched clients hesitate because they perceive limitations – either internal or external, sometimes self-imposed and sometimes imposed by others – that keep them from finding their answer or their new idea…and I’ve seen them eventually find the way to chip away at their stone to allow the beautiful statue to emerge. 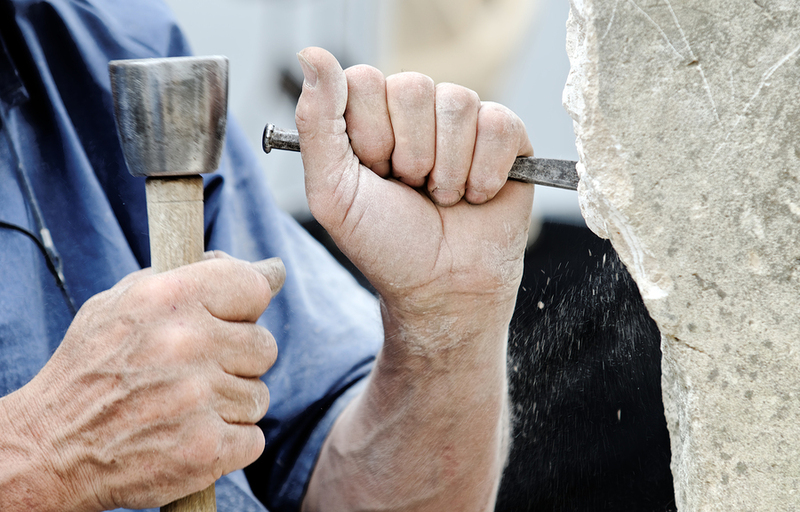 Stone removal generally is a slow, patient process. If we move too fast, remove too much at once, we run the risk of marring the finished product. We need to be patient and careful, while at the same time envisioning our glorious end product and knowing that it’s there, locked in the stone, waiting to be released. Know that your answer is hidden away beneath the stone, and slowly remove the stone to reveal the final beauty. Where is there stone that is getting in your way? How can you remove it? For support in removing your stone, contact Lisa at lkohn@chatsworthconsulting.com. Beautiful way to describe it!!.. I also liked (and will use the comparison) for our role as Leaders.. we also have to “discover” the beauty covered by the stone, via discovering the strengths among the people constituting our teams.. I like to believe that the talent is there, they just need the right coaching and support! Thank you Iván. I agree that our job as leaders is to chip away until the strengths of the people on our team shine through!